First launched in 1955, the Ladymatic was among the first self-winding timepieces created especially for women. Half a century later, OMEGA revived the name and revamped the line. 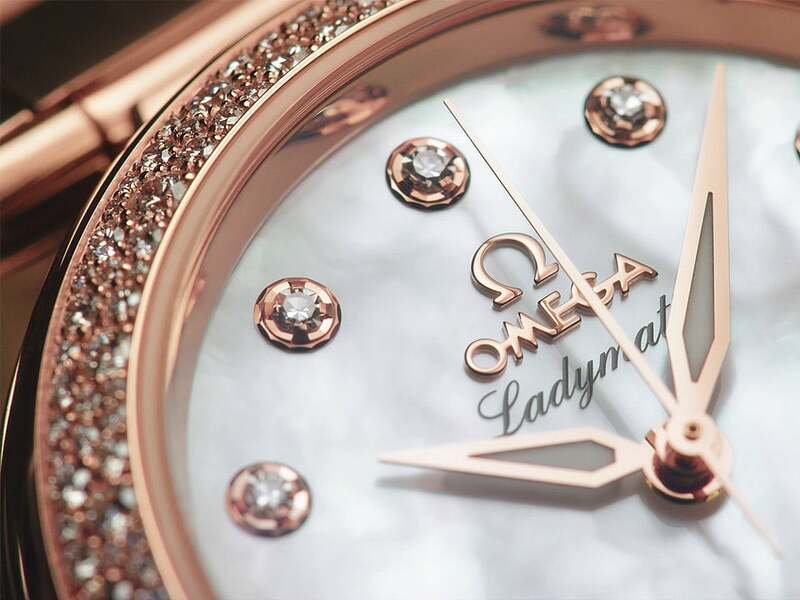 The OMEGA Ladymatic reintroduces a name from the brand's illustrious past. Originally launched in 1955 and continuing for the better part of a generation, the Ladymatic wristwatch line defined feminine grace and elegance in another era. The 34 mm Ladymatic case is available in 18K red or yellow gold, stainless steel or a combination of gold and steel. The inner casebody of 18K gold models is titanium; stainless steel models have a matching inner casebody. 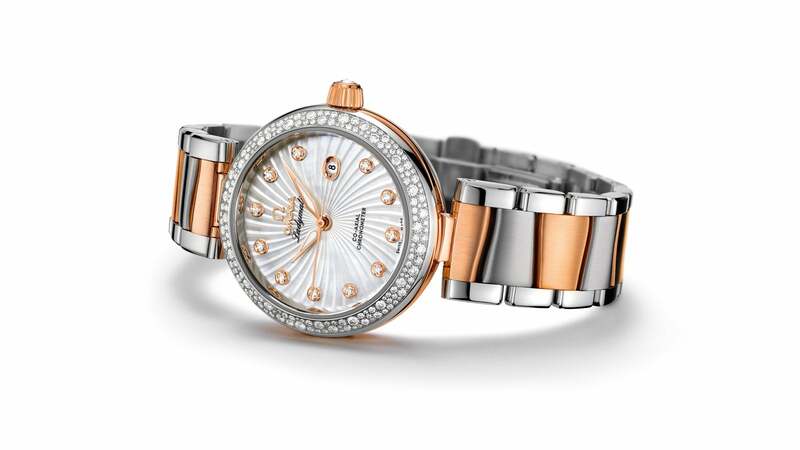 Ladymatic watches are offered with polished or snow-set diamond-paved bezels. Complementing the timeless case, the watches are presented on a matching bracelet or a satin-brushed leather strap corresponding to the colour of the captivating dial. The face of each Ladymatic timepiece features a captivating Supernova pattern in black, white, brown, mother-of-pearl, purple, pink, blue or shaded grey. 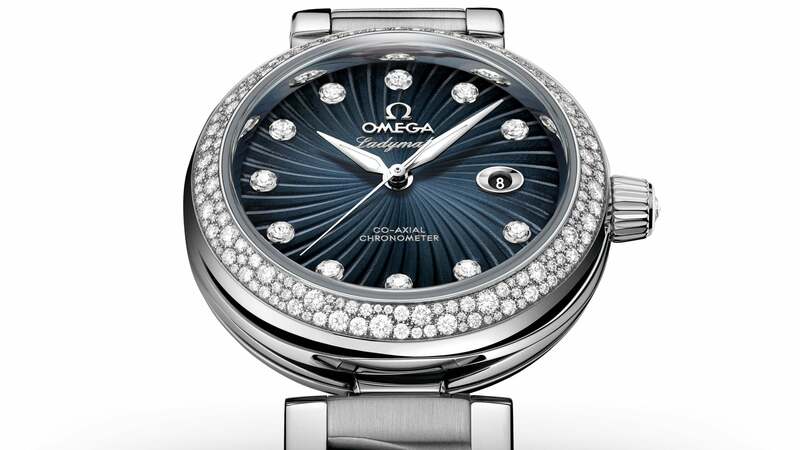 The dials have a date window at 3 o’clock and are available with 11 diamond-set indexes. The Ladymatic Luxury Edition watches are exquisite expressions of fashionable watchmaking. The "Pearls and Diamonds" model is distinguished by a bracelet unlike any other and a seemingly random array of snow-set diamonds. 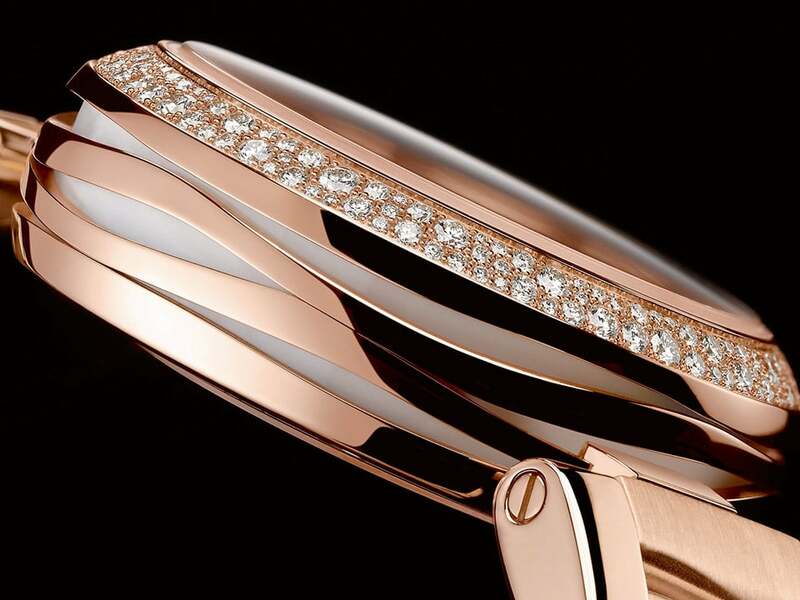 The “Mother of Pearl”, with its 18K Sedna™ gold case is feminine, sensual and uncompromisingly beautiful. And the Ladymatic "Luxury Dial" in 18K red or yellow gold features an imaginatively designed dial with mother-of-pearl marquetry and diamonds. 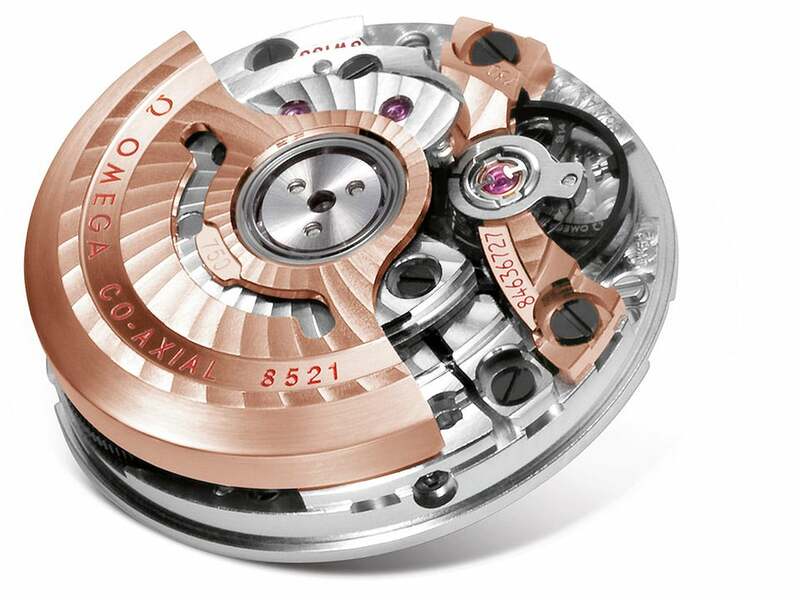 The movement driving the Ladymatic is the OMEGA Co-Axial calibre 8520/8521. Each movement is equipped with OMEGA's exclusive Si14 silicon balance spring, an innovation highly resistant to external shocks and environmental disturbances. 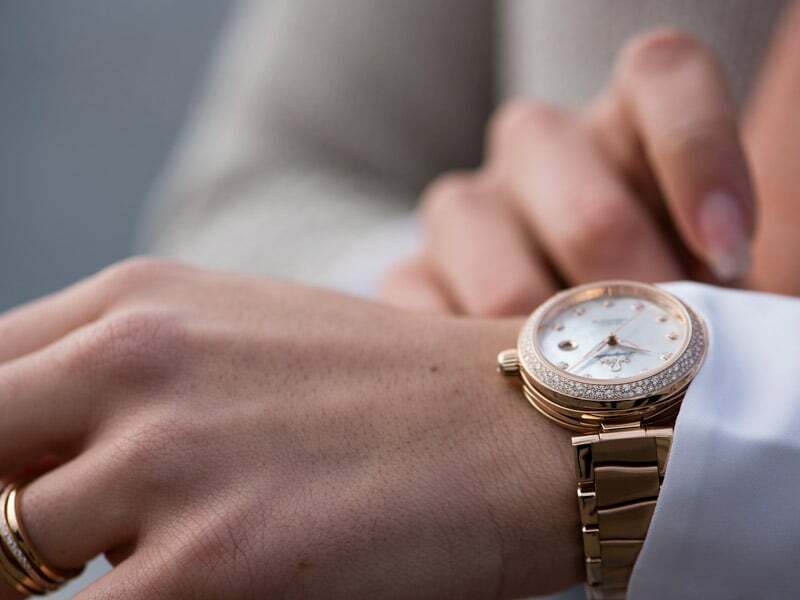 From live events to brand new watches, @OMEGA gives you instant updates and content from every part of our world. Make sure you never miss a moment.